Amongst the few iconic names in photography, which have defined the 1900s in all its dazzling complexity, we will find the German-American Horst P. Horst. A perhaps lesser known name for the wider audience than his colleagues Irving Penn, Richard Avedon, Lee Miller and Cecil Beaton, Horst has nonetheless left an indelible and stylish trace in the evolution of the photographic image. One of his major contributions was the exceptionally skillful handling of the dramatic interplay between light and shadow, an elegant chiaroscuro which brought him fame already in the 30's. 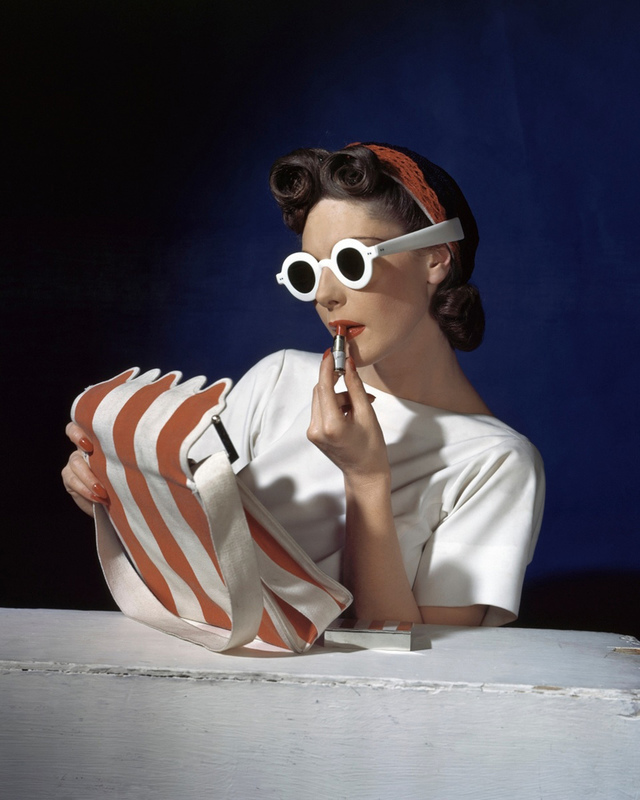 The total ouevre, spanning over six decades of fashion and portrait photography as well as over ninety Vogue covers, has recently been exposed at the Victoria and Albert Museum in London, in a sensationally acclaimed exhibition. Born in 1906 in Germany, Horst Paul Albert Bohrmann began studying furniture design at the Bauhaus and then moved to Paris to study architecture under Le Corbusier. In Paris, his path changed soon due to the relationship with, as well as the assistant job for the Vogue photographer and aristocrat Baron George Hoyningen-Huene, for whom Horst also sat as a model. 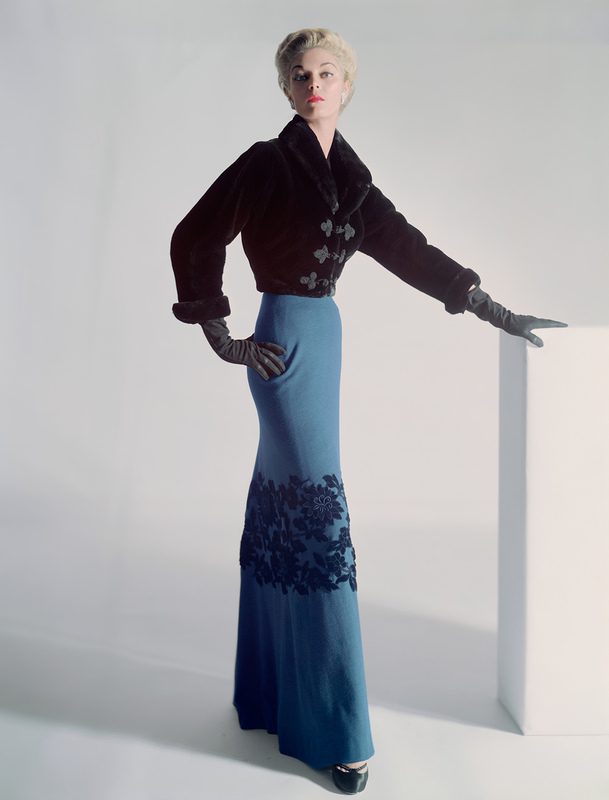 The young Horst was introduced to both photography and high society, became popular, and the rest is history. 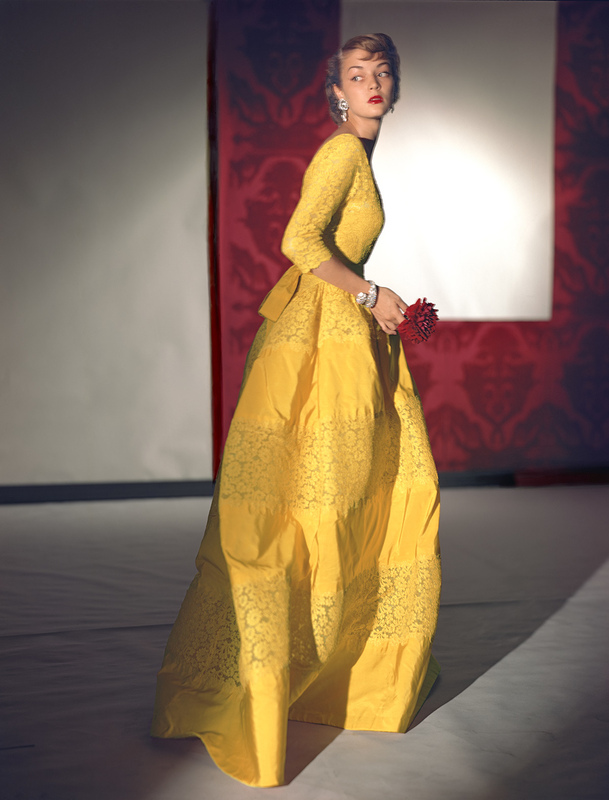 Horst surpassed his teacher very soon and embarked on a lifelong journey as a Vogue photographer. In 1943 he became an American citizen, changed his surname to Horst and became a classic international jetsetter. An extensive personal network of close friends, like Coco Chanel and Jean Cocteau, Vogue's reputation and Horst's well-defined photographic style created a unique set up for him to also become one of the 1900s most sought-after portrait photographer. Presidents and royalty, movie stars and artists, all sat as models. Many an iconic portrait of, among others Rita Hayworth, Ingrid Bergman, Marlene Dietrich and Salvador Dali are signed Horst P. Horst. He lived long enough to see his artistic imprint on subsequent generations of photographers' work, most evident in Herb Ritts’ and Robert Mapplethorpe’s. Horst also saw his most famous image, The Mainbocher Corset, reinterpreted in 1990 as a pop cultural pastiche by Madonna in the David Fincher-directed music video for the hit song "Vogue". Horst worked until his very death, published his last picture for Vogue as late as 1991, and died in Florida at 93 years of age. 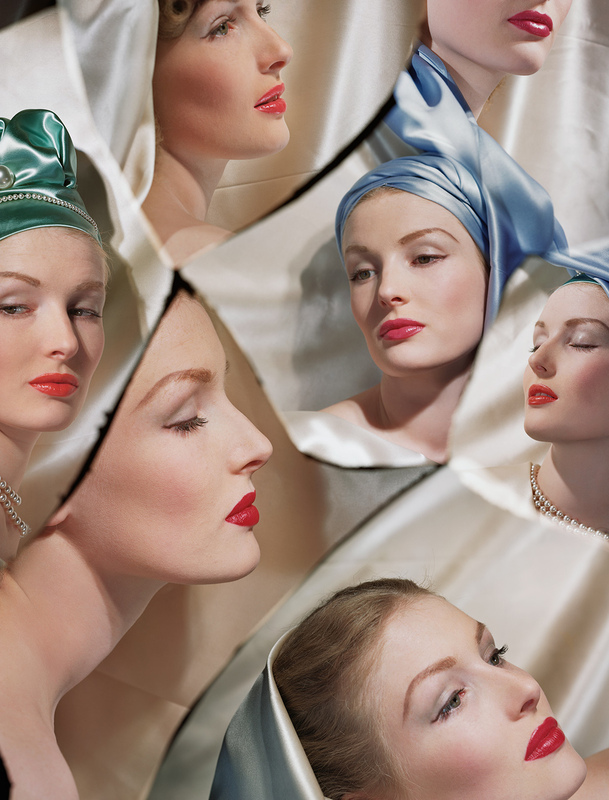 The exhibition at the gallery includes several of the most archetypal photographs from Horst's heyday as an Haute Couture photographer in the 1930s and 40s, and a few portraits. 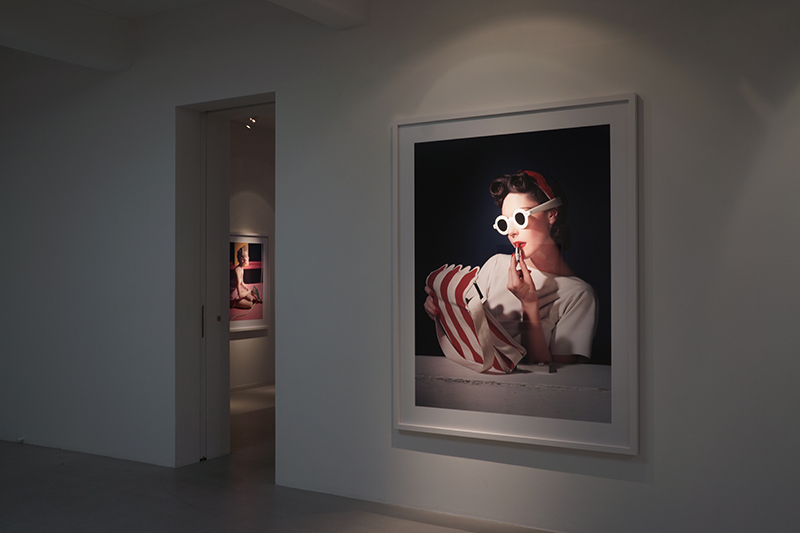 The works are newly produced in large format in collaboration with Horst P. Horst Estate.